"Our thanks to Adobe, Microsoft, and Sun. The donations have allowed us to improve our technology within the organization, while keeping programs funded and available for the community without regard for constituents' ability to pay." The Scott County Family YMCA in Iowa is committed to nurturing kids, promoting healthy living, and fostering a sense of social responsibility. Every day, the YMCA works side by side with its neighbors to make sure that everyone has access to the essentials needed to learn, grow, and thrive. For more than 150 years, the Scott County Family YMCA has been bringing together volunteer leaders from all walks of life to help their community. 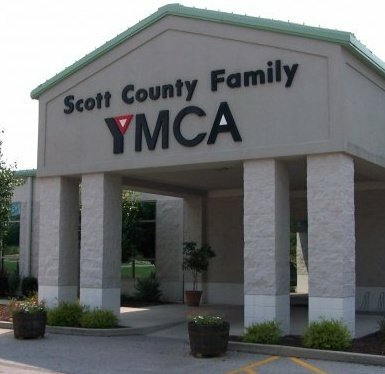 One of the oldest YMCAs in the country, the Scott County Family YMCA assisted families during the Civil War, encouraged young people to learn skills that built America's infrastructure, and helped women to play a more active role in the workplace during World War II. Today, it has a renewed focus to nurture the potential of children and teens, improve health and well-being, and motivate people to support their neighbors and their larger community. The YMCA received donations from Adobe, Microsoft, and Sun Microsystems through TechSoup. Adobe software has allowed the organization to improve marketing and communications about its programs. Microsoft Office has helped the organization increase efficiency. The donated Sun Microsystems server hosts its online registration website, which increases the convenience and access to programs for the community. These donations have enabled the YMCA to keep costs down, which helps it continue to provide services to members who wouldn't normally be able to afford them.